The selection and installation of surge arresters is the main feature in the January-February issue of SA Electrical Contractor. Well known in the lightning and surge protection industry, Paul van As, the Divisional Manger, LV Protection at Surgetek, simplifies a complex subject for readers in the low and medium voltage industries. Packed with valuable information, it’s another must-read powered by the ECA(SA) and will be delivered to the inboxes of more than 23 000 subscribers on 12 February. 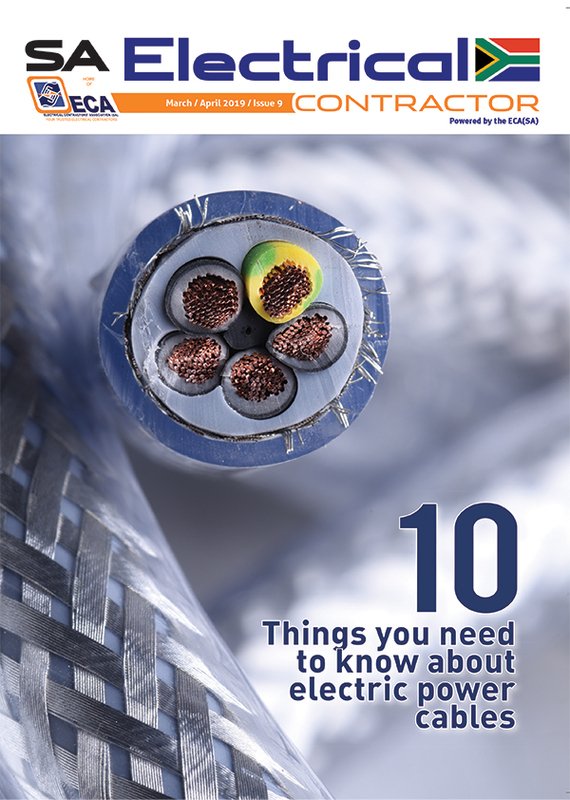 Highveld Regional Director, Chris Koen and Highveld Technical Advisor, Anthony Schewitz co-authored an new article to help electrical contractors with an old issue: The History of the Wiring Code and how this applies to old installations. They write: In South Africa, there have been four Wiring Codes since 1922, which influence the interpretation and application of the rules in today’s code of practice. This is important when considering the statement on page 3 of SANS 10142-1 Edition 2: “The edition of the standard that was applicable at the date of erection of an electrical installation is to be considered the edition defining the requirements applicable to that particular installation.” Knowing the history of the wiring codes helps electrical contractors make informed decisions when it comes to old installations and understanding what is compliant, what is not, and what is reasonably safe. The full article is on pages 24 and 25 of the January-February issue of SA Electrical Contractor. In this issue, we begin a new feature, Women in Energy (WIE); Roelf Nel continues his contractual series; the ECA(SA)’s regional directors report on their regions; and we cover topical issues for today’s electrical contractors. 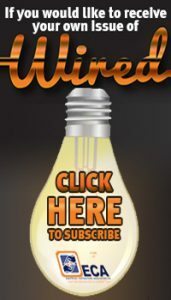 Past issues of the magazine are on the home page of this website.